Orchid Frost Lamium looks like a silvery frost, glittering across the floor of a woodland garden. Deep green edges define each little leaf, and tiny lavender blooms further enhance the icy effect. 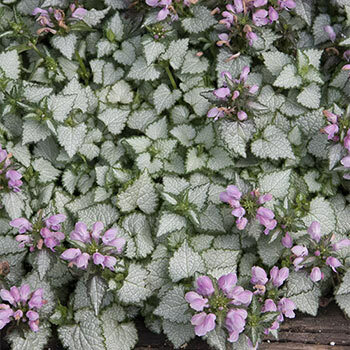 This lamium is a handy thing to have in the spring-blooming bulb garden, as it will cover fading bulb foliage through summer. 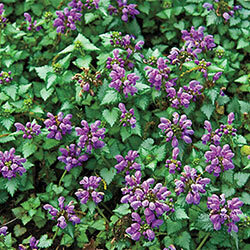 You can also underplant around other shade-loving foliage plants, like ferns, or edge the front of a shaded border. It is evergreen and even when not in bloom, the silver tones act as a refreshing highlight to a darker green backdrop. Strong, tough and easy to grow. 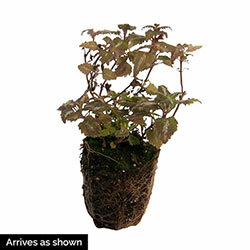 Additional Information: Performs best if watered during dry spells.